Valve is just full of surprises this year. The celebrated game developer behind Half-Life and Portal hasn’t released a major game since Dota 2 back in 2013, but its founder just confirmed at a press briefing that the company is working on not one, but three full-length VR games right now. The news of three VR titles from Valve comes on the heels of Newell’s other big reveal from last month, in which he said that the company is working on a separate single-player title; he didn’t mention VR at the time, so it’s likely that it’ll be a standard PC and console game. The new titles won’t just be short VR demos like Valve’s The Lab collection, which was released in 2016. Newell noted that both the Unity and Source 2 engines will be used to build the new games. Valve has been working steadily to enter the VR space for some time now. 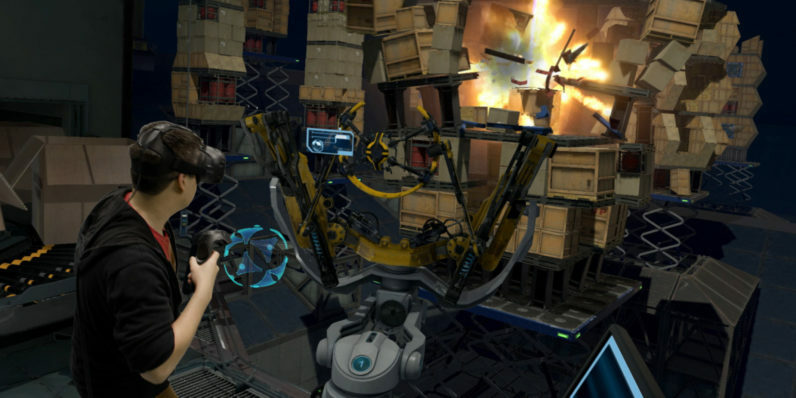 In 2015, it announced a partnership with HTC to launch the Vive headset along with the SteamVR system that includes room-tracking hardware and handheld controllers. The company is also working on its own VR controllers that strap onto your hands instead of requiring you to grip them. They are believed to be capable of sensing when you open and close your hand, so you could potentially pick up, throw and manipulate virtual objects. So one of the questions you might ask us is ‘Why in the world are we making hardware?’ So right now, we’re building 3 VR games. And what we can do now is to be designing hardware at the same time that we’re designing software. This is something that [Nintendo Representative Director Shigeru] Miyamoto has always had, right? [Miyamoto] has had the ability to think about what the input devices & the design of systems should be like while he’s trying to design games. Our sense is that that’s going to allow us to actually build much better entertainment experiences for people. So the idea isn’t like oh – we suddenly thought we could make more money by building hardware – because hardware’s actually traditionally been a lousy low-margin business. It’ll be interesting to see what Valve comes up with. In its previous games, the company has shown that it’s able to combine compelling stories with sophisticated gameplay, and I can’t wait to see how it fares with its VR efforts.